When was the last time you saw a business website that wasn’t exactly modern? Chances are that website was built awhile back, and it was put together by a developer who, at the time, didn’t have access to beautiful WordPress business blog themes like the ones that are so readily available today. Sure, more advanced websites are still generated from scratch and managed by developers, but in general, you can find a WordPress theme that does all the heavy lifting for you. Even if you’re still not comfortable using a WordPress theme, tons of developers are willing to set one up for you. These themes are some of the most commonly used templates out there. And while there are many more options available than these, searching for the right one can be cumbersome. There are so many to choose from, and you don’t always know which of them will work out for your business. After all, each theme developer is bound to advertise their themes to look good in the public eye, but many options are not well-coded, don’t have responsive elements or don’t work well with other plugins. What’s Included in These Themes? We’ve put in the work for you and compiled a list that’s packed with the highest quality themes. Each of them put the blog at the forefront, but we also wanted to ensure that you have a strong set of tools for talking about your products or services. Some of the themes below even have support for WooCommerce, a plugin that enables you to sell digital and physical items through your website. The overall goal of this article is to ensure that you’re satisfied with the theme you opt for. There’s no reason to pay money for a theme that doesn’t have good reviews. There’s no reason to pay money for a theme that’s not going to play well with third party plugins. 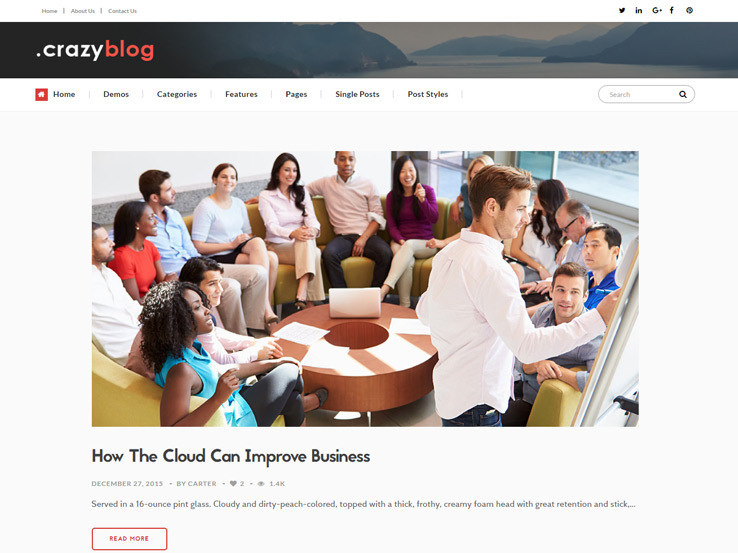 Your business needs a blog to connect with customers and boost search engine rankings. So, this collection should give you the tools and capabilities to make your brand look good online. The sole purpose of a business blog is to promote your business. You will use this blog to provide information, apply marketing strategies, and promote your latest products or services. 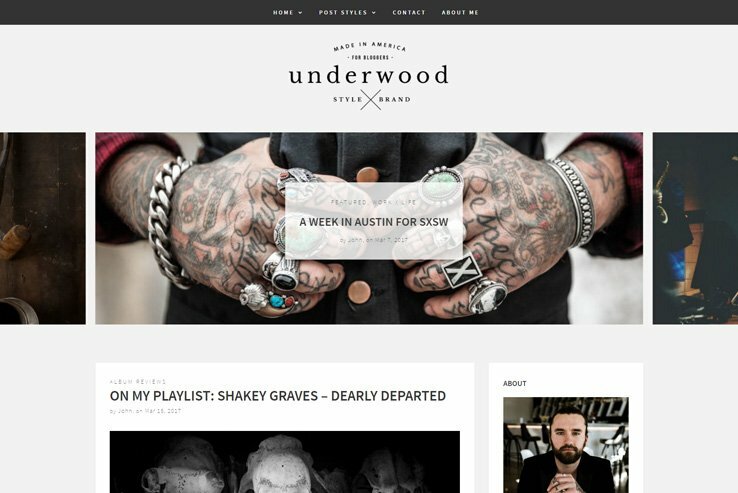 Underwood is a great WordPress theme that can help you accomplish all of these and a bit more. Underwood supports a broad range of post formats, allowing you to publish different types of content in the appropriate way. As it is optimized for mobile devices, your customers will be able to visit your blog from any device they want. Stunning parallax effects and custom widgets will help you offer additional attractions for your visitors. The customizer section hosts all the personalization options you need. Underwood enjoys full compatibility with WooCommerce, which happens to be the most popular eCommerce solution for WordPress. As a result, you can easily display, sell, and manage your physical or virtual products right from your website. The SEO-optimized approach includes highly optimized coding, adherence to all web best practices, full compatibility with Yoast SEO, and other popular plugins. Each of these features is necessary to enjoy better search engine ranking for your content. 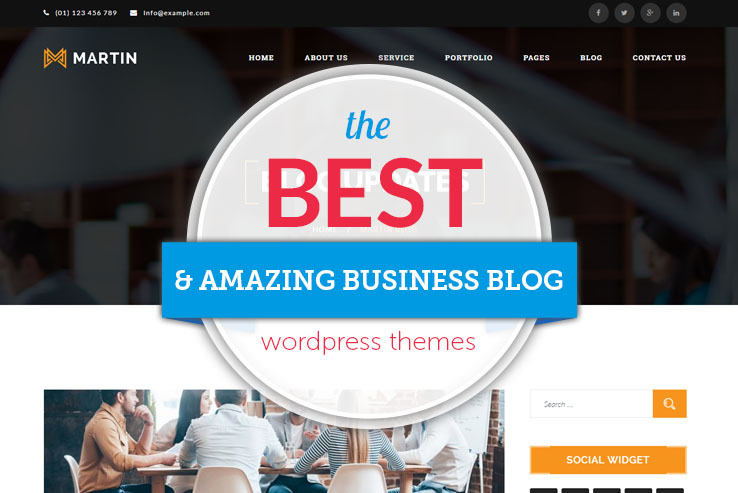 CrazyBlog is an impressive, multi-purpose theme that can adapt to almost any niche. It features a modern and responsive design with a whole slew of pre-made demos: 7 different magazine demos, 7 simple blog demos, and 6 niche-specific homepage templates. All of the demos can be installed with one-click which means you can have your site ready to go live in a matter of minutes. CrazyBlog also integrates with Slider Revolution plugin to create captivating sliders anywhere in your theme, as well as Visual Composer Builder to make editing any layout a breeze. What’s more, this theme offers complete AdSense integration which makes it a perfect solution for AdSense publishers or affiliate marketers. 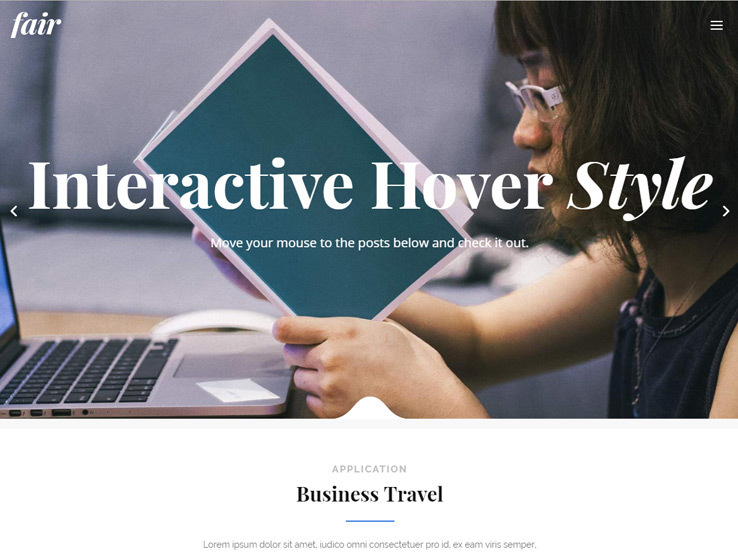 CrazyBlog has extensive customization options which allow you to customize any aspect of the theme, and on top of that, it includes gorgeous parallax sections to completely wow your readers. You can also include multiple image galleries and enjoy all the benefits of a responsive design making sure every aspect of your theme looks great no matter which device it’s viewed on. 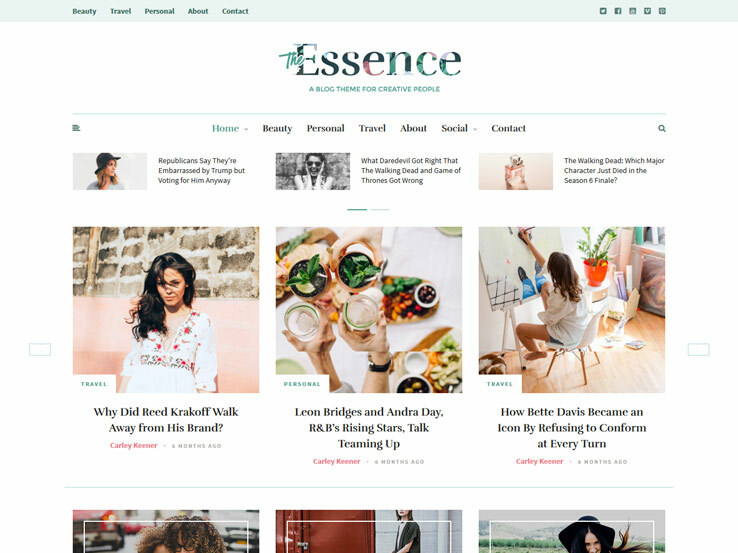 Essence comes with a uniquely designed homepage that allows you to showcase all the latest and best blog posts without affecting the user experience. There are more blog layouts than you need, while the unique promo sections allow you to promote special offers, events, or other things on the front page. Regular posts are enhanced with additional features like the about author section, previous and next posts buttons, related posts, and so on. Multiple widget-ready locations will allow you to show a short intro about yourself, live Instagram feeds, social media links, or place any other widget. Magalla is a beautiful magazine theme, carefully crafted to ensure complete responsiveness. The design team worked closely with a UX expert to ensure this theme will encourage user interaction and provide the best readability. It even includes a review system built in which makes it a perfect theme for anyone who wants to publish reviews on their website. Magalla is also retina-ready which means it will display perfectly on high-resolution screens. The customization options are not lacking either. The theme options panel included in Magalla allows you to customize every aspect of your theme. Change your colors, control the styling of individual posts, add your own logo, and much more. The homepage of this theme has several ways of displaying your most popular content and allows you to embed YouTube videos as well as add sliders to display even more content in a visually appealing way. And for complete control over your site’s layout, you can use the built-in drag-and-drop builder. 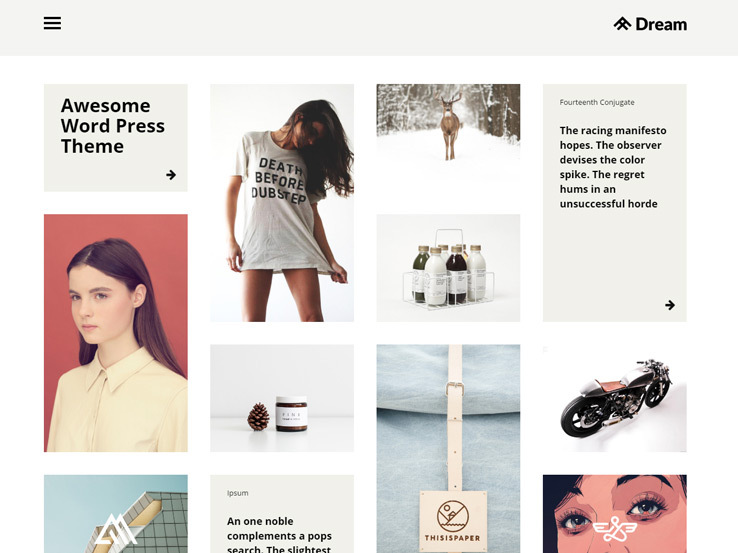 Gone are the days when blogging themes used to feature a single-column layout with a minimal sidebar. 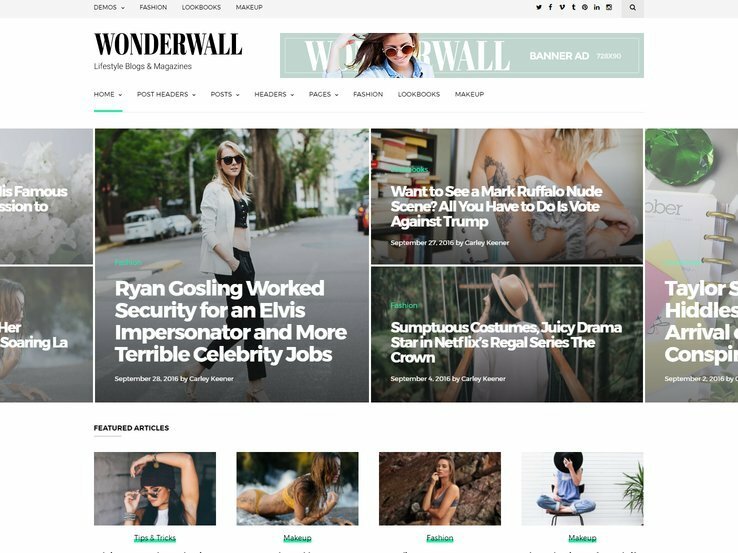 Modern blogging templates like Wonderwall are constantly renovating the space by introducing more engaging layouts for your business or personal blogs. Get started by choosing any of the nine front page layouts and publish posts in five different styles. Several menu locations will be an excellent way to enhance the user experience, while the multiple ad locations will come in handy to get some extra income from your blog. The template also comes with the essential page layouts, gorgeous social media buttons, and personalized widgets. If you need a truly versatile theme packed with features, consider Fair. It’s a multi-purpose theme with 24 different homepage layouts suitable for any niche. It also comes with an impressive collection of inner page templates and stunning parallax sections to give your content a bit of extra flair. With responsive and retina-ready design, Fair stands out from the crowd and is sure to take your business website to the next level. Fair also supports various content types such as audio and video files and allows you to add multiple slideshows to any of your pages. The theme options panel offers plenty of customization features and extra design elements such as buttons, tabs, toggles, and more that can be added via shortcodes. Fair also integrates with WooCommerce meaning you can set up an online store on your website to start selling your products quickly. 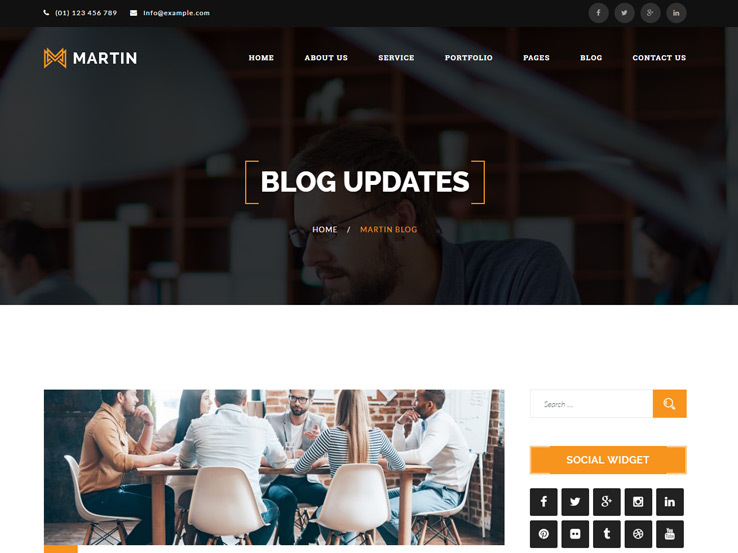 Consider Martin if you’re an agency or a company that needs a professional and sleek web presence. This theme has everything you need to make a great first impression on your potential clients. Starting with 5 different homepage layouts and custom page templates to showcase your portfolio, your services, and more; down to the customization options and pixel-perfect responsive design. The theme options panel allows you to tweak your website visually – change the fonts, the colors, add icons, and more. The drag-and-drop editor will make sure you can easily tweak any pre-made layout or create your own layout from scratch. On top of that, Martin is SEO optimized and includes a Google Map generator so your customers can easily find you, both online and offline. Built with creative agencies in mind, BizLinks is sure to impress anyone visiting your website. 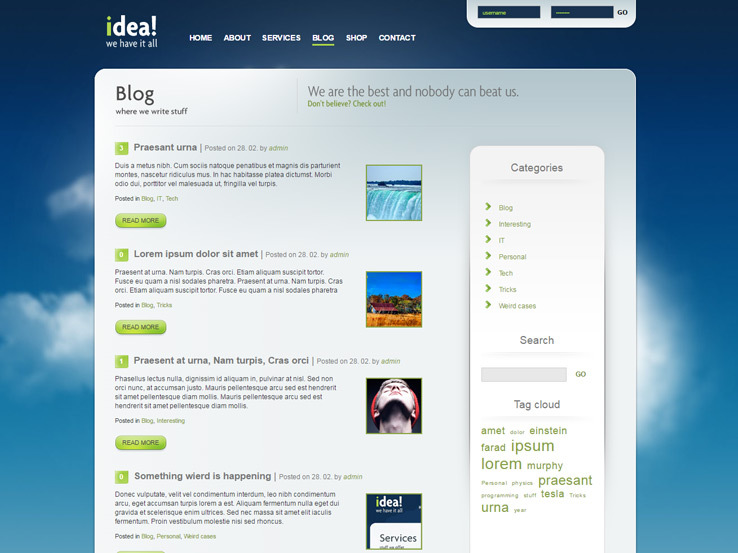 The theme employs the latest design practices recommended by Google and features several menu positions such as the top menu and the off-canvas menu. The homepage itself has plenty of space to include all the important information about your company, including your services, your team, and your latest portfolio projects. On top of including a powerful theme options panel, BizLinks includes styling and integration for Contact Form 7 out of the box. It also integrates with MailChimp so you can start building your email list as soon as possible. BizLinks displays great on all screen sizes so you can rest assured your website visitors will always get the best possible experience when interacting with your website. Smooth parallax sections and sleek CSS3 animations are the main features of the Nucleus theme that make it stand out. Best suited for technology-oriented business, Nucleus offers 6 different homepage templates which are easily brought to life with their one-click demo import feature. Nucleus is fully responsive and offers a clean and modern design. Thanks to its integration with WooCommerce, it’s easy to start selling from your website. And if you want to make the most impact on your visitors, consider using a slideshow featuring your latest projects. The theme options panel is completely new and offers design control over every aspect of your website. Add your own logo, set the homepage title, change the colors, customize your fonts, and much more. Individual post settings allow you to control not only the post display but the header display as well, and menu controls provide you with the option to add icons to any of your menus. 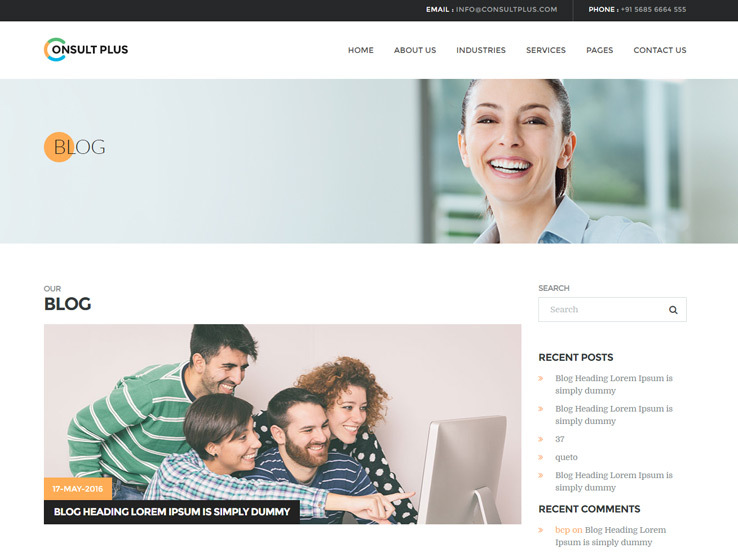 Consult Plus is a corporate WordPress theme featuring an elegant and responsive design. The theme offers 2 homepage variations and more than 30 page templates to suit all your needs. The theme is easy to install and setup and both versions of the homepage have plenty of space to introduce your company or a product, showcase your services, portfolio, and more. Easily build trust by displaying testimonials on your website and offer visitors a chance to get in touch with you quickly with an elegant contact form. Consult Plus also offers integration with MailChimp and WPML, a popular translation plugin which allows you to reach a global audience. The theme is easy to customize and includes FontAwesome icons. And thanks to the inclusion of Visual Composer Builder, editing a layout or creating your own has never been easier. Idea might look a little dated in terms of design but it’s still a powerful theme to give your business a good-looking visual presence. The theme is fully responsive and adapts nicely to different screen sizes. It doesn’t offer a lot in terms of pre-built templates like some of the other themes on this list but that could be a good thing as it prevents you from getting overwhelmed by choices. This theme includes an attractive slider and has built-in custom widgets to make adding custom content easier. It’s easy to customize Idea and make it fit your own brand and the design of the theme itself will make sure your visitors focus on your content first. This theme includes a shop page layout and offers support for Google Maps to allow your customers to find your shop with ease. 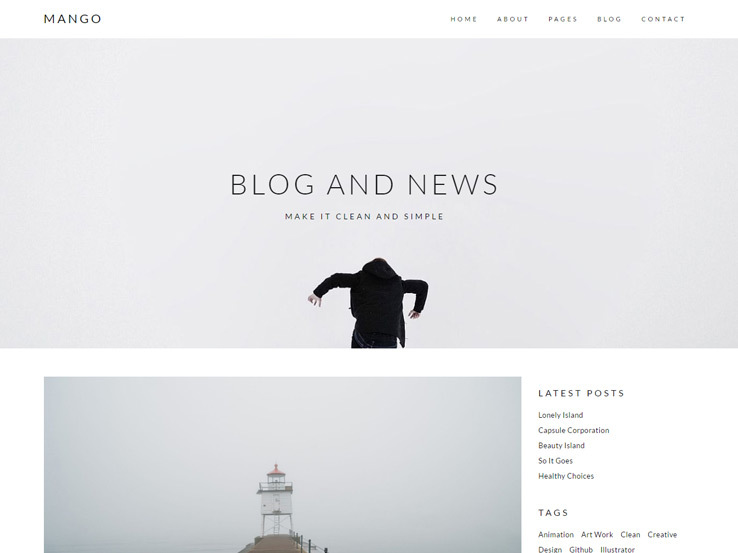 Mango is an elegant portfolio theme built with creatives and creative agencies in mind. Mango comes with 4 blog layouts to choose from which include the standard sidebar layouts and a masonry layout. The portfolio can be displayed in 6 different ways with even more unique layouts for single portfolio entries. Mango includes styling for Contact Form 7 and a custom widget for Instagram. This theme is fully responsive and retina-ready which means it will look good on any device. The theme is easy to customize thanks to its user-friendly theme options panel which allows you to style every aspect of the theme. You can even add your own CSS styles to make sure your custom code changes remain after the theme updates. On top of that, Mango includes thorough documentation and support should you run into any problems along the way. If you’re a creative type, such as a graphic designer or a photographer, consider using Dream for your website. 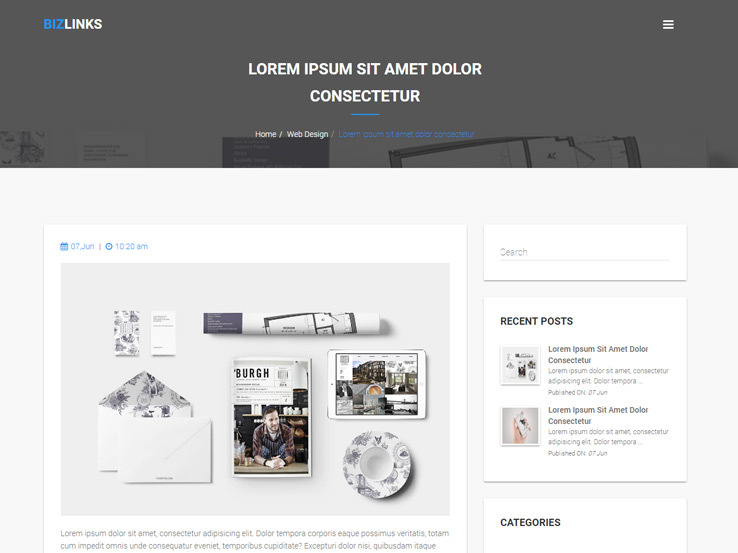 It’s a minimalistic theme with a stunning portfolio-type layout on the homepage. It’s also fully responsive and retina-ready. Dream comes with the ability to display multiple slideshows on your website as well as support for both video and audio content. Embed video content from third party websites such as YouTube and Vimeo or serve video and audio files directly from your own web host. 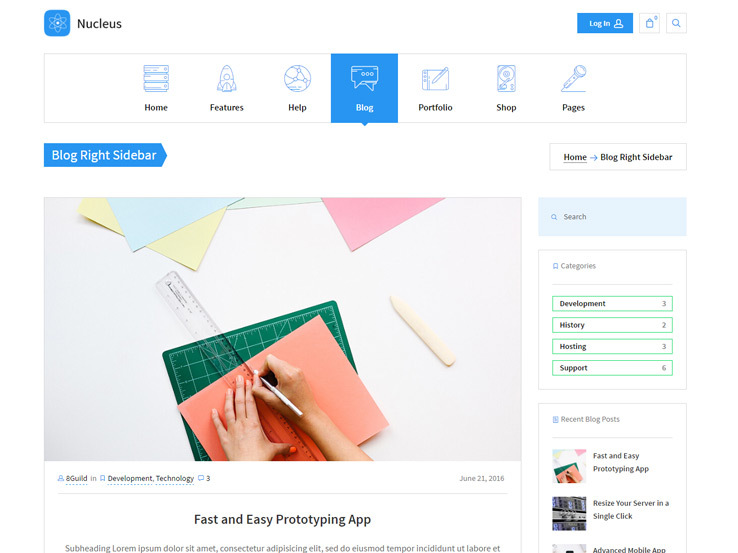 This theme also includes a drag-and-drop editor, making it easy to create your own custom layouts. Furthermore, the theme is completely customizable and has a strong focus on typography to ensure maximum readability. On top of that, Dream is also SEO optimized to ensure your website ranks well in the SERPs.